You take care of patients. We’ll take care of reports. Workload can be entered in the system, taking only seconds per patient, or be derived from electronic documentation (e-doc interface). Easy to use workload instruments – designed using Dynaworks™ methodology, which has become the industry leader in Canada for the capture of CIHI MIS standards and case costing compliance. Every day, your team balances managing information and taking care of patients. With Emerald nursing and allied health workload software, your staff has the time to focus on the tasks that matter while our engine collects the numbers. 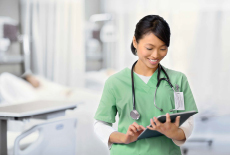 Nursing and allied health disciplines across Canada have come to rely on our software because it automatically captures and analyzes workload information for quick decision-making and reporting. With that, you have the tools you need to deliver better care and working conditions today and tomorrow. How does Emerald nursing and allied health workload software improve day-to-day health information management and decision-making? What kind of difference can Emerald software make? Workload analysis offers operational insight for improvements in handling specific case mix groups. 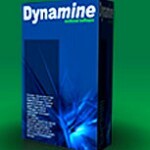 Dynamine™ is real-time web-based software designed to integrate seamlessly with your existing Health Information System (HIS) to provide ease of acceptance and use. The system includes over 30 pre-configured reports. 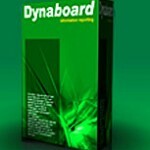 Dynaboard™ is populated daily with workload data. The data models support customized reporting on workload by itself and on workload linked to clinical health records data (DAD, NACRS and MDS-RAI systems). Dynaworks® is a service offering built on a proven, best in class methodology that allows you to define automated workload instruments, customized for your specific organization’s needs. Our Dynaworks® workload methodology, the industry leader in Canada, provides easy-to use workload instruments designed to support CIHI and provincial MIS data capture.